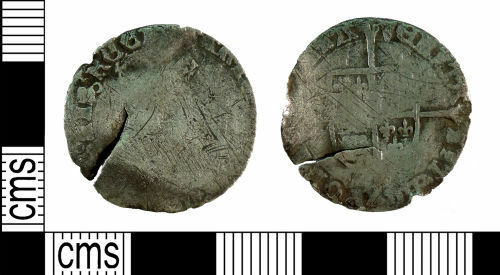 A silver groat of Mary dating to the period AD 1553 - 1554. Long cross fourchee over royal shield reverse. Pomegranate initial mark. Mint of London. North Vol 2, p.126, no.1960.